Andi is a 5 week old Female Dachshund/Chihuahua Mix. She and her 2 siblings were rescued from being surrendered to the Carson Shelter. She is cute as a button. She is good with kids, adults, other dogs, has not been around cats. She will need her puppy vaccinations before going to her forever home. 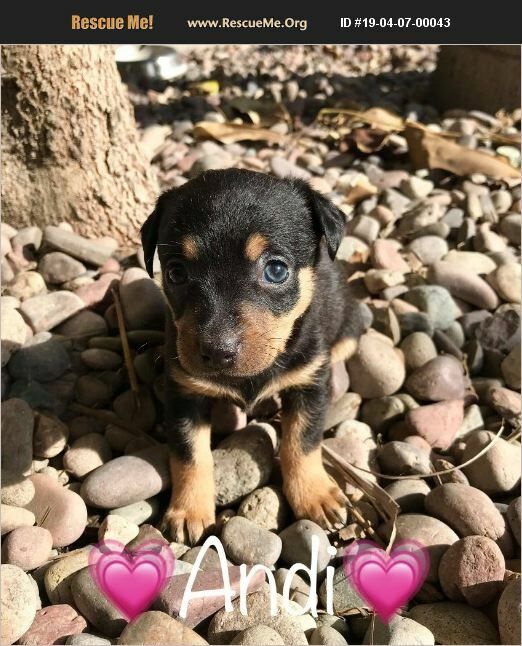 Andi will be ready for her New Forever Home in about 3 weeks.